Being a parent is not an easy decision. Having the first child already may seem a bit too overwhelming and imagining to have a second one can feel totally impossible. But before you decide to do it the Chinese way (and even China is relaxing the rules of one child policy now and will allow couples to have two babies! ), there are some things that you should consider. Look at this world map showing the total births per woman. Do you see any relationship between the fertility rate and the relative wealth of a nation or geographical location? Being an only child has numerous advantages and also quite some disadvantages. Let’s have a closer look at them. Your parents would therefore never have to solve the puzzle on how to make the older one not be jealous of the younger one. Good for them. On the contrary, you are lucky as you do not have to share your toys with any sibling. Bearing this in mind, you will never experience these brother-sister fights for a totally useless cause. Being an only child can bring you see the sunset by the seaside more often in your life. Or not. The odds that you will receive a lot of Christmas gifts are quite high, you are at the end of the day the only child that can get, them right? When you are an only child, the advantages extend to having a big birthday party more often as there is only one occasion in the year to hold it – and that is your birthday! That applies to pretty much any birthday except for when you are born on 23rd December, then forget a party. Ever heard of anybody who would love to get a normal cake and throw a big party when there are Christmas candies that are also coming just once per year like your birthday? Until you start going to the kindergarten or to primary school, you will have to spend a lot of time with adults. For some reason your parents would still prefer to hang out with their peers and you would have to come too (the child security services for some strange reason do not like when children stay home alone). This will lead to funny situations when adult friends of your parents or your papa and mama themselves would tell you: “Do not listen now.”, which is a total invite to start paying attention to what is being said and using it by accident some time later at the most inappropriate time and occasion. All this just because you were told not to listen and to close your ears. The school kids can be incredibly evil and many innocent situations at school are bringing scars to your only child torn soul. The most frightening one is to write an essay about your brother or sister. A homework that when you object that there is nobody like this you could describe, the teacher says: “write about an imaginary one”. Thanks, but no thanks. Also, if you get an assignment to write about your family, it would have to be much more detailed to fit the requested word count as there are not many people to describe. Truly uncomfortable. But it is also a chance to popularize what the adults said the other day when they told you not to listen. 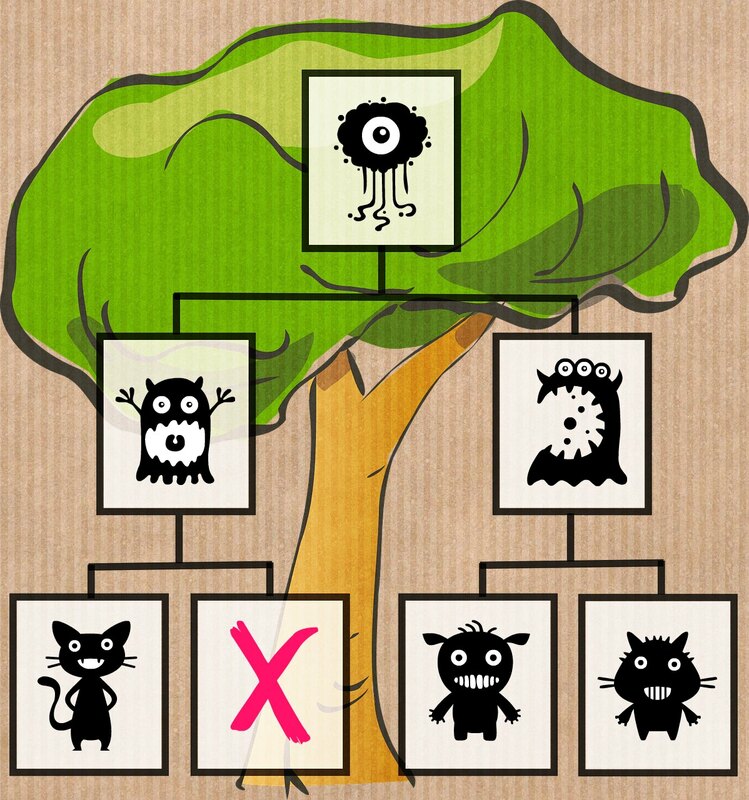 Likewise, when you start learning foreign languages, there will be a section of the vocabulary that will be a nightmare for you: family tree. It is not easy to imagine what would be the title of your mother’s brother (if only she had one) or the future children of your imaginary brother (although you already know perfectly from the previous assignment how he looks like and how he behaves). I would want to make a research to verify if my assumption here is true – only children are not able to learn properly the family relationships as they have no real names and faces to assign to the branches of the family tree. One think you can be quite certain is that your parents will attend all the parent meetings at school and they will find out what you did. If only they had more children they would have to go for school meetings of, they would probably skip out on yours. But no. Tough luck. Also, once you start going to school, it is time to choose a hobby or five. The perfect time for parents to gently guide you towards a sport or activity they totally failed in so that they can project their unfulfilled dreams into their only child. You become the universal everything. Ballet, drawing, pony club, football, scuba diving, debate club, drama class, chess team and let’s not forget the flute! Only when you grow up you will realise that you have to fight for all your problems alone, there is nobody that you could blame your failure or misbehaviour on. Forget the sentence: “It was not me breaking the vase”, because there is just you and nobody else who could have broken the vase. Sad. There is also nobody that could cover up for you when you go for a date that your parents would not let you go for. Equally, you will not be able to laugh at your brother’s or sister’s first hangover, luckily the internet is full of funny videos and you are already trained in having an imaginary bro. It is not easy to be an only child, but you have lot more toys to help you overcome this sorrow. Similarly, you know these moments when your sister is awarded the Nobel Peace Prize and you are rightfully proud of her? Will not happen to an only child. Or these moments when your brother goes study abroad and although you had your arguments all the time, you start to miss him as there is one place empty during obligatory family Sunday lunches? There will always be an empty space by the kitchen table when you are being an only child, unless you have a triangular one. When you get older and wiser, you will necessarily have to realize some things, such as that you will never be your sibling’s best man or maid of honour and as such in general there will not be many weddings taking place in your family unless you have a lot of cousins. Being an only child, such a simple money and conflict saving solution! The worst realizations are when your friends and classmates start to have nephews and nieces and you suddenly realize that you will never become aunt or uncle! And the worst one to get is that the future of your clan is lying on you as there is no bro or sis that could replace you in this reproduction burden. Last but not least, if you are an only child, you will be the only thing your parents have, from your early childhood until the very end. This may seem as an advantage, but believe me, it is really better if there is more of you. For everyone. Hesitating to have a second child? 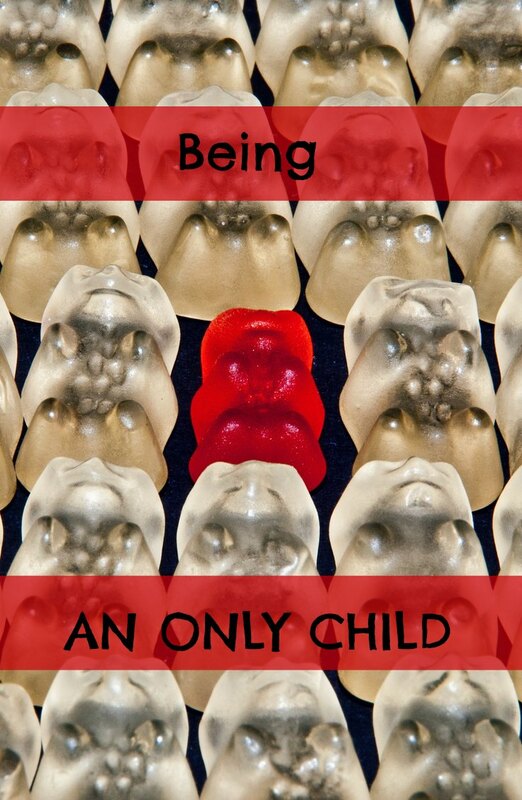 Are you being an only child yourself? Did I forget something? Did you find some of these items particularly funny? Marrying somebody with lots of siblings is a good occasion to become an aunt suddenly. Don’t lose hope! That comment about breaking stuff is coming from my own experience. 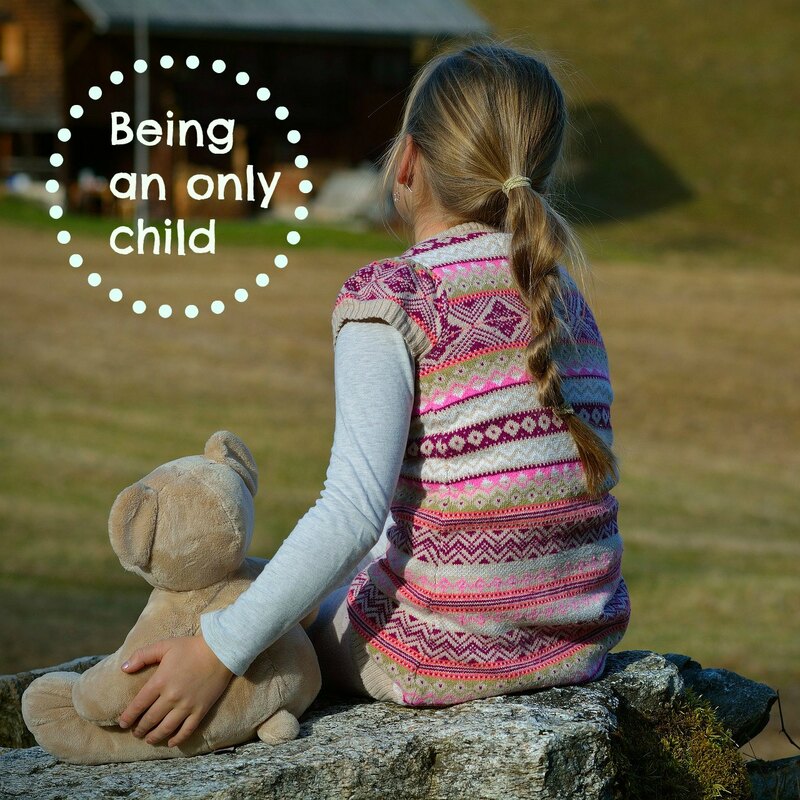 As the eldest child of three, I always wondered what it would be like to be an only child. Never thought about the things I would have missed out on like the ones you pointed out here. Interesting, and I’ll never know what it’s like! Suzette, Thanks for stopping by and making a comment. It is a bit of sci-fi to imagine both being only child when you had 2 siblings or having at least one sister or brother (in my case). I just wanted to open the discussion about this, because many people do not realize how this decision impacts the life of their kiddo. I love this post. For the longest time, we were on the fence about children period. Then we had one (later in life) and figured he was it. But as he got a bit older we realized that we wanted him to have a sibling. So then we had #2 and it has been amazing – and both kiddos love having a sibling. I guess we took the message a bit too literally because now I am pregnant with (HUGE SURPRISE) #3!!!! Anyway, this post really resonates and is in line with what many of my only children adult friends say as well. In my case, I only had one sibling, and even then always wished I had more. Congratulations, Faye! I see that I do not have to motivate you to have more children, wishing you all the best and many nice joyful moments with your family! Great post! I myself am an only child and I can identify with much of what you said. The good thing in my situation is I do have a niece and a nephew through marriage so I am thankful that I have the opportunity to be an aunt. 🙂 I may not have any biological siblings, but I do have a friend that I call my sister and she will always be my sister. I think as only children we just have to work harder to find relationships like that. We only have one child as well and we are considering not having any more because I really enjoyed being an only child. But you made a lot of valid points that are making me question that choice, haha! Hi Jen, thanks for stopping by and writing such a long comment. I think that only children learn pretty good the whole concept of being alone and entertaining themselves. And indeed, what I write is true, I am really bad with family relationships 🙂 as indeed you can still become an aunt or uncle if you marry somebody with siblings. The main reason I wrote this post was to motivate people to have a second child if circumstances allow, of course 🙂 Seems I managed to plant at least one worm, mission accomplished 🙂 Wishing you all the best! I would love to have been an only child. The issues I had as a child were usually due to my brother, sister and I not getting on. My husband was fine with my son being our only child. He had two brothers that constantly beat him up…although, now they are all good friends. We went on to have a second, but to our surprise, it was twins, so now we have three. Congratulations 🙂 Twins can mix up everything! Thanks a lot for stopping by and leaving this comment. Come from a family of 8 and I had 3. Everyone needs to decide for themselves. Personal and private. Wow, a family of 8 is truly a full house! Must have been a nice childhood and I agree with you that this is a very personal and private decision. I have 5 kids and my sister has one. Totally different experiences for the kids & parents just like you said! But it is what it is! This was a fascinating perspective. I am an only child and I still think of myself as a bit of a rarity. Being in counseling, I frequently evaluate people and get family history and I always get a little excited when I find other only children. I found I related to adults easier than children at times because only children tend to be more mature, primarily being surrounded by adult conversations. I did have a bunch of cousins however to play with at Holidays. I was great at self soothing and inventing my own play and I find generally only children are far more comfortable being alone. Only children have the drive to be successful as first born without the pressure to “lead the way”. I also think only children are more likely to be introverts. I am an only child and have a doctorate degree, so I turned out ok. I am not sure on the “only children” having children as I am not planning on any myself. My fiance has a sister but they don’t talk at all. The one drawback I see is not having a sibling to help out with aging parents. But hey I live in a society (US) that we don’t value caring for aging parents like others do so there is really no guarantee your kids will help care for you anyway. Always nice to read others perspectives! Thanks a lot for stopping by and leaving this comment. I did not know that it is not so “in” to care for aging parents in US. Strange, but guess it opens doors to a whole sector of economy opening up and offering services to seniors. I even read somewhere that it is the job of future to offer activities for them. Thank you for leaving the comment! I tried to summarize the pros and cons in this post because I think many people do not realize these and I lived it through my entire childhood and still feel being an only child while being an adult already. I will check that program, 16 kids sounds like a full house and you are right that it is important to get some time with your parents alone. Thank you for leaving this comment and congratulations to all your 6 kids, I believe they are having a great fun having each other. I found that in general many people start to have children earlier in the US than in Europe, which makes it easier to have many. We just postpone too much in Europe, I think. 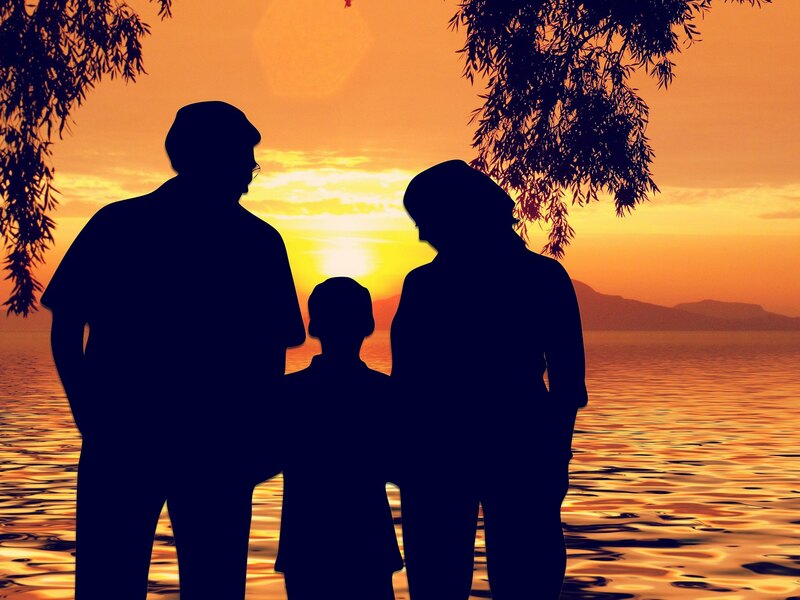 Parents must have more than 2 kids and the reason is that 2+kids share among themselves things that they would not like to share with their parents.Don’t you think so? That is actually a very neat idea. One thing that however influences that is the age gap and gender composition. Probably works when the kids are younger and this connection can change when they become teens. But there is something about it. Interesting and timely for me, as my husband and I have been chatting about having a second child. He’s an only child and I have a sibling. He doesn’t feel like he missed out on anything by not having siblings whereas I want my daughter to have what I have with my sister. My daughter is an only child and she had many of the same rants as you. Fortunately, she has cousins who are as close as siblings to her. Now the only one I worry about is her having to help care for aging parents alone.